This vector set is special and cute because it features illustration of nature in embroidery cartoon style. 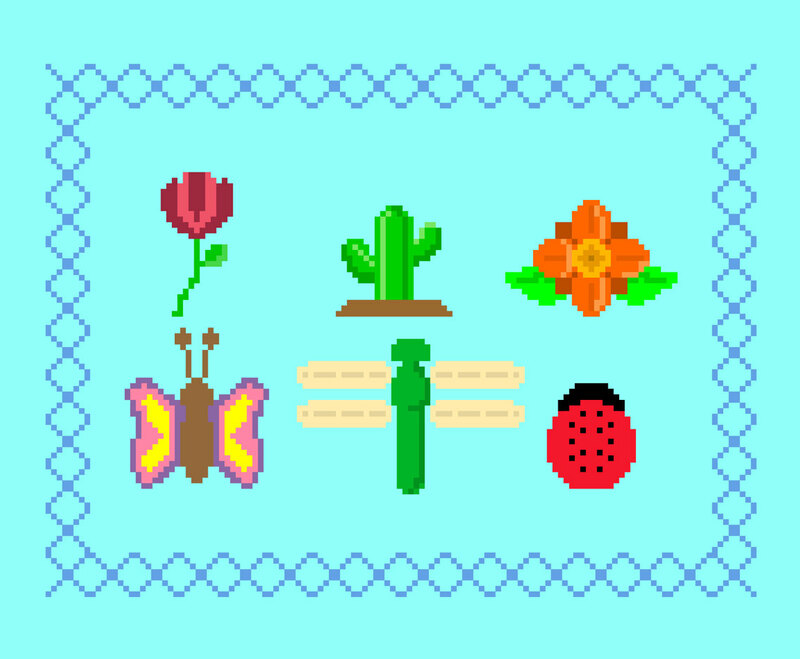 You can get a rose, flower, butterfly, dragonfly, beetle, and a cactus illustration in the set. It will be great as design element for kids event or birthday and greeting cards and many you can think of.